Samsung is recalling nearly 2.8 million of their top loading washing machines. 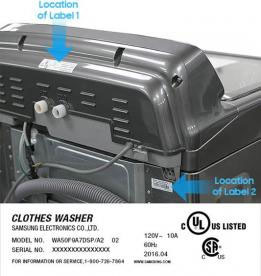 According to the United States Consumer Product Safety Commission, approximately 34 different top loading Samsung washers are in danger of literally exploding according to a significant number of consumer reports. This explosion is occurs stemming from an unbalanced drum thrusting violently upward to strike the top of the washing machine with incredible force. As a result, less secured components of metal and plastic can detach and launch at great speed causing possible injury and property damage. Multiple personal impact injuries, some very serious, have been reported as a result of the defects with certain models of these top loading washers from Samsung. In more fortunate situations, only collateral damage occurred only to walls, ceilings and floors. 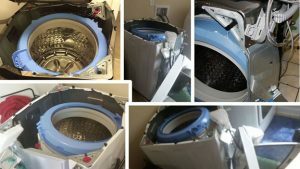 A quick search engine query will reveal countless photos posted by consumers illustrating the significant damage caused to the washing machine itself as well as their home where the machine was installed. Currently the United States Consumer Product Safety Commission 733 complaints and reports of 9 personal injuries, bruising, an injured shoulder and even a broken jaw. Multiple major news networks have investigated the consumer claims and contacted officials representing the Samsung brand on this issue. One such report was aired and posted online November 4, 2016 by NBC News. 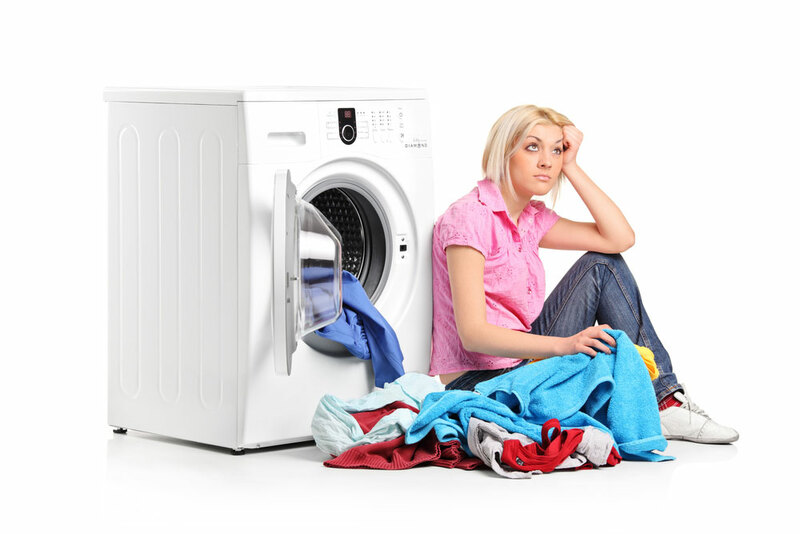 Click here for NBC News Video: “Samsung Recalling Almost 2.8M Washers Due to Impact Injuries”. Samsung is offering offering a repair kit, rebate, or full refund based on the serial number and purchase date of the machine. Every consumer with a Samsung Washing machine should verify if the model they own qualifies for the reparations offered my the manufacturer. There are approximately 34 models effected in this recall. To locate the model number of your machine, look on the back right hand side or top center of the console. Below is a list of the current Samsung washing machine models that under recall. Consumers should contact Samsung if their model is listed in the recall. Based on qualifying serial number and purchase date, Samsung is offering a repair kit, a rebate, or full refund to address the potentially affected models listed above. To contact Samsung you can call toll-free at 866-264-5636 from 8 a.m. to 10 p.m. ET, or online at www.Samsung.com and click on the recall notice at the top of the page for more information. 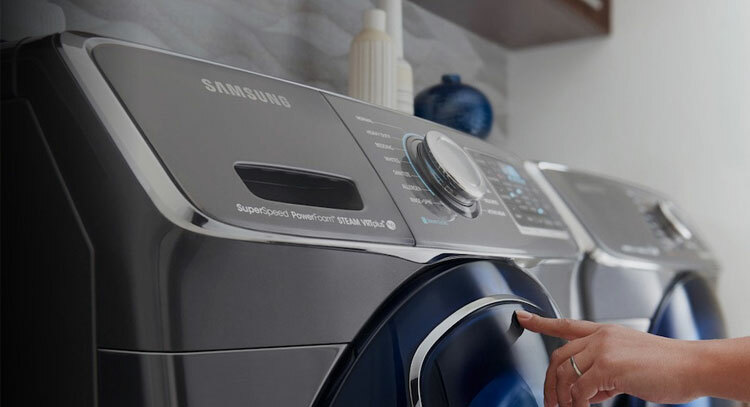 If you live in the Columbus Ohio area and prefer having a specialist with Samsung washing machine repair inspect your unit or conduct the required service, please contact Central Ohio Appliance Repair at 614-863-2773.